The goal of process management is to improve the competitiveness of the company. In many projects the optimized processes enable cost-reductions as well as the identification of drivers for future growth. Even many instruments used within my projects have been developed for Turn-Around Management to avoid insolvency, mainly successful market leaders are my customers. 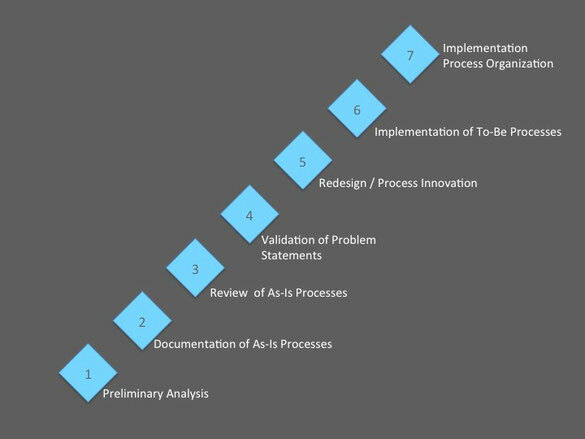 Based on the learnings of my projects I propose a process model, which combines different approaches.